Driven by the passion for excellence and achievement! 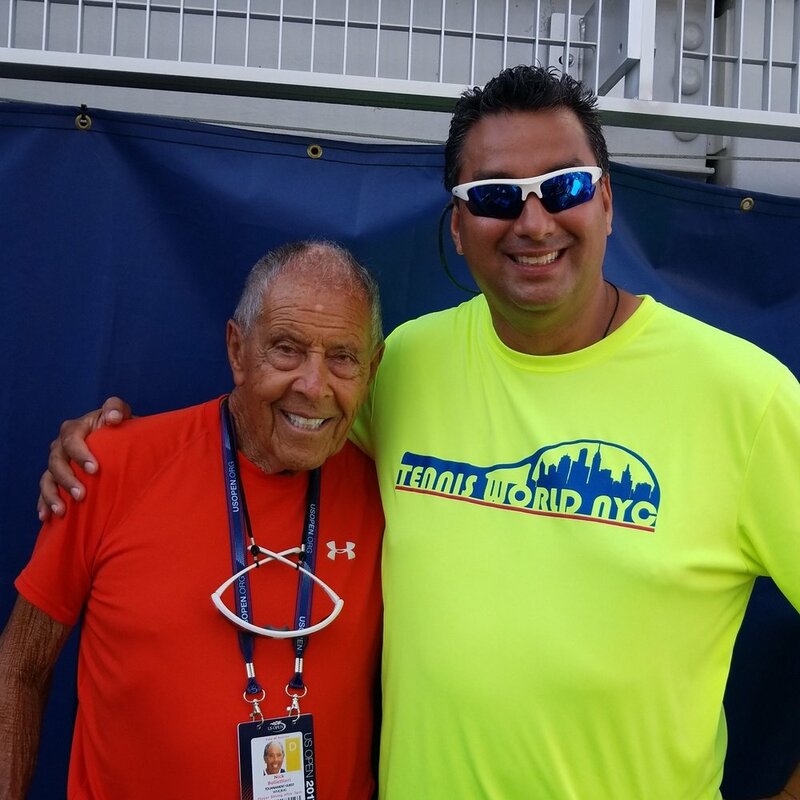 Tennis World NYC is collaborating with Nick Bollettieri to bring you the highest quality, personalized coaching program - right in Manhattan. With over 60 years of experience in tennis, teaching international Grand Slam Champions, Nick is widely recognized as the greatest coach in tennis history. Now he is sharing his wisdom with students all over the world in a truly unique mentoring program. You share your initial skills, goals, and ongoing progress through videos collected in free weekly classes provided by Tennis World. Nick provides his instruction and advise personally to students through video and phone calls, and develops a plan for weekly onsite training at Tennis World NYC. Nick Bollettieri will provide his instruction, advice, mentoring, tips, and consultations with the student, the student’s coach, and the student’s parents through personal phone calls, texts, videos, Facetime Video Calls and and Skype Video Calls. For students in the NYC area, Tennis World will provide a free weekly group class to collect initial analysis and weekly progress videos. For additional private lessons or group classes, Tennis World will work directly with each student to prepare a weekly training plan according to each student's schedule and budget. Students outside the NYC area can work with a local pro to collect videos and create a weekly training plan. Nick will review and provide an analysis of videos of the student’s lessons and/or matches twice per month. Nick will review each student's developmental program with Tennis World twice per month. Nick will deliver Facetime Video Calls or Skype Video Calls twice per month with the student, the coach, and parent(s) to discuss the previous weeks progress and the following weeks development plan. In 1978 the Nick Bollettierri Tennis Academy (NBTA) was formed in Florida. Nick changed the game of tennis by implementing strategic technical on-court training with physical training and mental conditioning. These methods helped him influence and transcend the sport to be the most prolific coach in tennis history by coaching players to be world #1 like: Andre Agassi, Boris Becker, Jim Courier, Martina Hingis, Jelena Jankovic, Marcelo Rios, Monica Seles, Maria Sharapova, Serena Williams, Venus Williams along with other top ATP/WTA tour players and Tommy Haas, Kei Nishikori and Anna Kournikova to name a few. Nick has become part of the Tennis World NYC team as the assistant coach, adviser, mentor, motivational coach, and consultant ready to help you to be your best.